[0:34] <amigojapan_bnc> so I have 80USD in limbo now ad no RPI touchscreen displey after I ordered from SR components Japan…they took money from my debit card but they claim the payment did not go thru and there is nothing they can do about it, now I need to call the debit card company, but it is just a debit card I bought at a convenience store :( but I had bought an RPI III with the same card no problem, what happened to my 80USD?! [0:46] <akk> I have two disks with RPi images on them, one for the original Pi and one for the Pi 3. Is there a way to tell without booting, e.g. from kernel.img, which is which? [1:02] <akk> so I assume the former is the pi 3 image and the latter is the original pi image. [1:03] <akk> but motioneyeos is much more picky. [1:21] <Valduare> new soc with usb3? gigabit ethernet etc. [5:02] <ball> That's just a strange idea. [5:04] <CoJaBo> Smeef: That's the max supported res of the scaler; AKA, it's a scam, seller never mentions the panel res. [5:06] <ball> What DPI are eInk hats? [5:17] <password2> so what do i need to start messing around with an rpi zero , just some cabling to connect to usb and a microsd card? [5:18] <password2> or do i need display too? [5:27] <password2> CoJaBo, is it micro or mini hdmi? [6:14] <aberrant> can someone please explain how my eth0 is participating in dhcp when I’ve got `iface eth0 inet manual` in /etc/network/interfaces? [12:51] <kerio> hm why didn't the pi zero use a microhdmi port? [13:01] <ShorTie> because then most peeps would need a adapter ?? [14:58] <Lucifer> Hi, is there a way to connect my Pi 3 Model B with a speaker? [15:00] <pksato> Lucifer: Yes, connect amplified speaker on 3.5mm jack. [15:03] <pksato> normal multimedia speaker for pcs. [15:04] <pksato> but, some cases, need a trrs adapter. [15:10] <Lucifer> Would that work? [15:18] <teclo-> what's the problem with Dutch ? [15:52] <ShanShen_pi> Greetings, Pi city! [16:25] <Lucifer> Is there a way to find my PI's local IP, without connecting it first to a screen? [16:27] <gordonDrogon> swensson, /etc/rc.local ? [16:31] <gordonDrogon> the foundation did a test where they ran a Pi for some time (weeks/months?) with it having the plug pulled at random (relay driven off another Pi) to see what would happen. Nothing special was the result. [16:32] <password8> did they physically yank the power? [16:33] <gordonDrogon> why do they need to shut them down? [16:34] <gordonDrogon> Deshi, you unplug it. no plug, no power. [16:35] <gordonDrogon> Deshi, you can't, but you can run sudo halt to properly shut down Linux. [16:36] <gordonDrogon> Deshi, keep doing that - either sudo halt, or whatever. most Pi's will flash the green led 10 times, but the Pi 0w doesn't seem to for some reason. [16:40] <gordonDrogon> the standard pixel thing runs in 4G as far as I'm aware- you can remove some big stuff like libreoffice, wolfram, etc. [16:45] <aZz7eCh> apache2 questions okay here guys ? [16:46] <gordonDrogon> swensson, one thing to remember is that there is no $PATH in /etc/rc.local, but it sounds like your going now. just something to be aware of. [17:05] <password8> can anything be turned into systemd cmd? [18:59] <dtrainor> erienced this before? [19:05] <dtrainor> Well crap. It might not be related to that module. The Fedora 25 ARM FAQ asks about GPIO, and the answer is: GPIO isn't supported well as they need to be mapped with Device Tree overlays. This will be improved in the F-25 cycle, and in Fedora 26. [19:23] <kihis> actually is there any hints in dmesg? [19:26] <password2> oh , you too the connectos off! [19:26] <password2> does it still work? [19:27] <dtrainor> i guess i'm still hung over.. didn't think to update the system before trying this. doing so now. [19:27] <ali1234> so what is it? [19:27] <password2> you used a solder iron? [19:29] <password2> i wonder if it can be reflown in an oven? [19:33] <password2> is it an rpi3 you did this to? 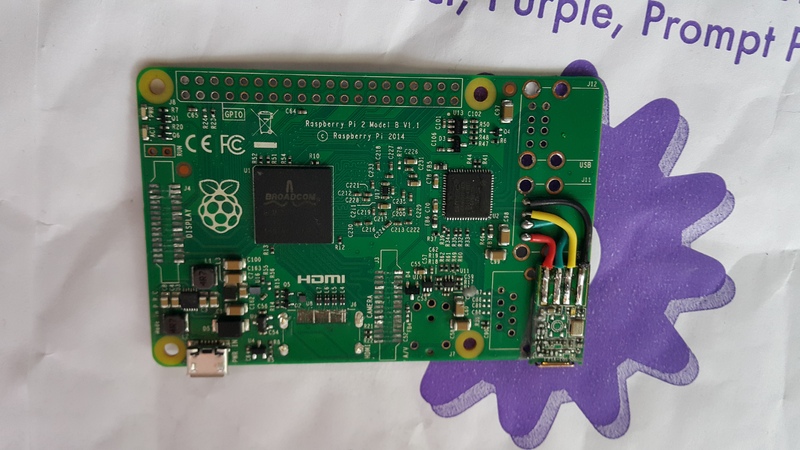 [19:35] <viju> Anyone with experience tinkering with raspberrypi as well arduino, I want to start a small beginner project just turns LED/switches in remote area turn on-off using gprs. Which is less painful to work with? I have no experience with hardware and I cannot tell a capacitor from a resistor. [19:39] <viju> Budget is a bigger constraint, not that I cannot afford raspberry pi, but with zero knowledge of electronics I frying up those boards could become an expensive hobby for me. [19:40] <dtrainor> and at, what, $20 for an arduino (yes, lots of variables in this, but still)? even if it did explode, i don't worry too much. [19:46] <dtrainor> prior to testing out gpio on rpi i was working on a communications method between rpi and arduino over serial, using json and queues. i think i'm going to go back to that and maybe visit rpi gpio later on. [19:53] <batch> hi, is wpa-roam in /etc/networks/interfaces needed for wlan0 ? [19:58] <velus> shauno, you about? [20:02] <batch> oh something like bridgedap in openwrt you mean then oq? [20:04] <batch> ik now i have better view on the differnces, thx oq ! [20:06] <dtrainor> it might be sure. [20:06] <kihis> dtrainor: what kind of data you are transfering between those devices? [20:07] <dtrainor> auger start/stop, pressures etc. [20:08] <gordonDrogon> oq, actually lagers. beer's been done. lager is the new challenge. [20:09] <oq> is lager not a beer? [20:09] <password2> dtrainor, i love welding too! [20:09] <gordonDrogon> oq, they are both fermented grain products. the main difference is the fermentation temperature and the type of yeast. [20:09] <Chillum> It works: http://pastebin.com/E1UX7gyA ! [20:10] <gordonDrogon> oq, I'd suggest they are both different. [20:10] <gordonDrogon> beer and ale - sort of the same thing. lager different. [20:10] <dtrainor> the reception is mixed at best, so i don't talk about it much. lots of people say that by automating the process, you're taking the art out of brewing... to which i smile and walk away. it's still an art. just a different kind of art. [20:10] <password2> well done it! [20:12] <gordonDrogon> Chillum, er ... you added wi-fi to a v2 ? [20:12] <batch> if i wanna use static ip, i just do systemctl disable dhcpcd right? [20:14] <gordonDrogon> dtrainor, use a Pi all the way? [20:14] <gordonDrogon> ie. not arduino. [20:16] <gordonDrogon> fwiw: I'm using ATmgas everywhere, taking back to Pi's via rfm69 radios. [20:18] <gordonDrogon> some of the kit is portable, so power is an issue at times. [20:19] <gordonDrogon> all my code is in C and BASIC, so I've really no idea how python wants to talk serial. [20:19] <dtrainor> it was new to me. seems pretty straight forward. just an object that represents a resource, pretty boring. [20:21] <gordonDrogon> dtrainor, do yourself a favour and stick to raspbian. it's the 99.99999% solution on the Pi. [20:23] <gordonDrogon> I'm sure it works just fine, but raspbian is where the support is. [21:23] <gordonDrogon> GreyHazRoot, that's pretty neat and horrible at the same time. I presume you've pinged them via the forums? [21:39] <Voop> somehow, my tv remote was working on it? [21:39] <Voop> anyone know how/why that works? [21:41] <Voop> does that work through HDMI? [22:01] <ironpillow> hi all, is this https://www.amazon.com/dp/B019SRBUNG/ref=psdc_13983791_t3_B01CCMUN8C - edup wifi adapter AC600 compatible with raspberry pi 3 B? Thanks! [22:05] <CoJaBo> I might try again tho, just for the hell of it..
[22:06] <Lartza> What's the current rpi kernel? [22:06] <kerio> ironpillow: the builtin wifi not good enough for you? [22:07] <kerio> is there any recommended way of setting up bluetooth PAN with the mess that's bluez 5? [22:07] <CoJaBo> ironpillow: Also, Because the USB is slow, the AC adaptor isn't likely to be much, if any, faster than the builtin. I wanted to use mine only because it has better reception. [22:10] <ironpillow> is a better dual band dongle that works. I can get that. [22:11] <ironpillow> Lartza: cool. got it. [22:12] <ironpillow> if you have experience with another dongle, you know works, let me know. thanks. [22:40] <Deshi> is it difficult to set up a vpn with the Pi? [22:49] <redrabbit> looks like there is no way to shut the green led down on the pi0W ? [23:19] <Dave666> Yep no errors, it just exits "successfully"
[23:20] <Lartza> What's your xinitrc made to do? [23:20] <Dave666> Even with a .xinitrc with nothing in it, it does the same. [23:20] <Dave666> Seems like having that file in the user home dir will cause X to fail. [23:22] <Dave666> I have tried one that just loads chromium, which also failed the exact same way. It was a shell script with one line. [23:23] <Dave666> Think I might try booting to Android and running full-screen chrome in that instead. Pretty sure I had that working before. [23:25] <Dave666> Yeah, I dunno, there were no errors though. I had it working with Android on the Pi3. It's just a longer boot time, but that's not a big deal. [23:46] <ShanShen_pi> The default webbrowser in Raspbian is now Chromium. How do I tell Raspbian that I want Epiphany to be the default browser? [23:55] <Dave666> Not sure, but I think Chromium is more efficient and follows standards better than epiphany, to be honest. It is also hardware accelerated.